Here's the weather forecast and news on Bagyong Mario, a tropical depression, from the state weather bureau PAGASA on September 17, 2014. 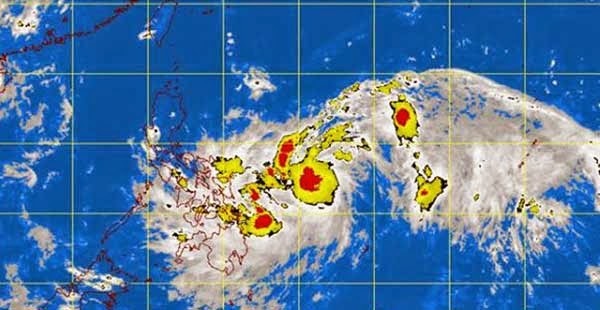 In its 24-hour public weather forecast, PAGASA said that as of 4 p.m. Wednesday, TD Mario was spotted at 740 kilometers East of Borongan, Eastern Samar with maximum winds of 45 kilometers per hour. State forecasters predict that Visayas, Zamboanga Peninsula, Northern Mindanao, CARAGA and Davao Region will have cloudy skies with light to moderate rains and thunderstorms. Moderate to strong winds blowing from the northeast to northwest will prevail over Luzon and its coastal waters will be moderate to rough. Elsewhere, winds will be light to moderate coming from the northwest to southwest with slight to moderate seas, the weather agency added. Visit this site often for simplified updates on Tropical Depression Mario (Bagyong Mario) and more PAGASA weather forecast.